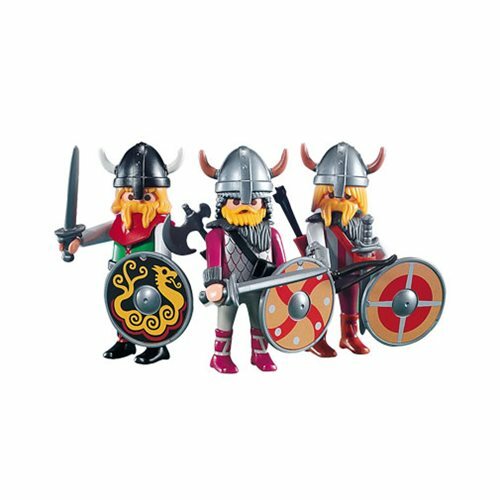 Set sail for adventure with the Playmobil 7677 3 Viking Warrior Action Figures! Three brave 3-inch bearded blonde warriors come with shields, swords, axes, helmets, and shields to see what there is to see on the sea. Ages 3 and up.